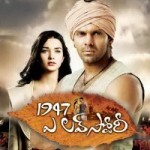 Tamil Director AL Vijay ‘Madharasapattinam’ dubbed as telugu titled “1947 A Love Story”. Varudu fame Arya and Amy Jackson Playing Lead roles. Music Scored by GV Prakash Kumar. 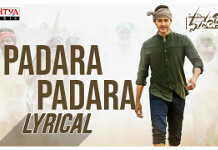 Telugu Version released by Multi-Dimension Entertainments (P) Ltd. Nassar, Cochin Hanifa, N.L Shrinivasan, Satish, M.S.Bhaskar, Bala Singh, Carole Trangmar-Palmer, Lisa Lazarus, Alexx O’Nell, Kishore Kumar, Omar Lateef doing other roles. Expected to release on Sep 1st week.